Normally Surreal: The Struggle Is Real... A Little Help? The Struggle Is Real... A Little Help? Hello all, I hope you have all had more fantastic weeks than the thought of Emma Stone smacking Glenn Beck in the face with a fish. Full confession: One of the biggest struggles I have as an author is coming up with titles. How difficult is it for me to title something? Well, I have written an entire book (which is in editing phases right now) and have yet to title it. It is currently sitting on my computer literally labeled, "Book 3, You Should Probably Rename This At Some Point." Keeping in the theme of the first two books, "Life is a Circus Run by a Platypus" and "Life is a Pirate Ship Run by a Velociraptor," I want the title to mesh with those. To that end I have come up with, "Life is a ______ Run by a Sphinx." Now, here is where you all come in. I have come up with three options with which to fill that blank; Library, Speakeasy and Roller Derby. I have decided to let the public decide which of the three they would like to see on the cover of my next book! To have your Democratic say, all you have to do is vote here! What's in it for you? 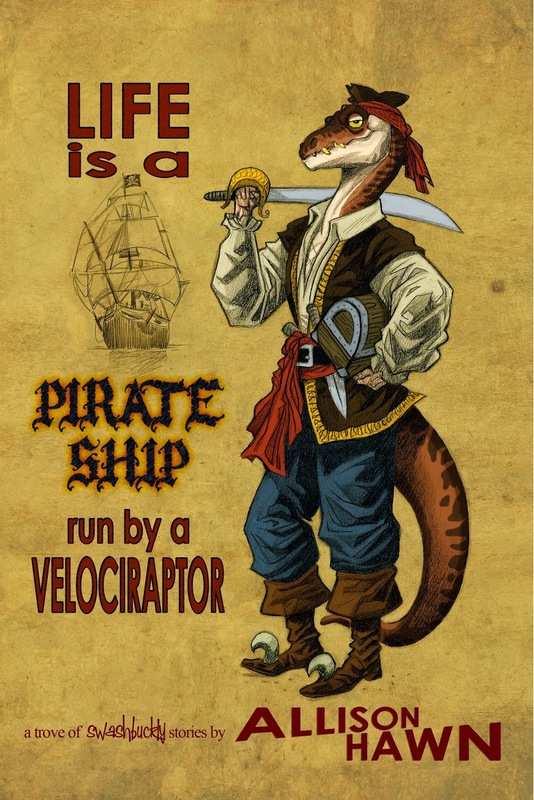 Aside from knowing that you're helping to take the pressure off of my shoulders, I will be giving away one signed copy of "Life is a Pirate Ship Run by a Velociraptor" to one of the voters. Now to be entered in this contest you not only need to vote, but you need to like the contest post pinned to the top my Facebook page, so that I know that you voted. That's all there is to it, vote and then like and you're entered! Speaking of "Life is a Pirate Ship Run by a Velociraptor," it got another 5 star review this week from reader Anna Burke who writes, "... A well-written, entertaining book that you should have on hand after one of those days at the office, on the road, in a line at the grocery store, trying to talk sense into a teenager or your boss..."
Don't forget to take part in the contest on Facebook, and follow me on Twitter (@AllisonHawn) and Amazon.